The most common HVAC technology, forced air isn't exactly the most popular. If you're on the hunt for a system that suits your needs as a 21st-century homeowner, read below for details on a newer option that may challenge your notions of what cooling and heating can be. In any neighborhood, in any state, homes built post-World War II typically share at least one thing in common—a traditional forced-air indoor climate control system. As the most common technology for more than 50 years, traditional forced air has become, for many people, synonymous with cooling and heating. In fact, when people complain about cooling and heating in general—its high running costs or its hit-and-miss performance—they are often criticizing, whether they know it or not, traditional cooling and heating. Some in the United States may not even be aware that traditional forced air isn’t the only option. Throughout Europe and Asia—and increasingly here at home—more and more homeowners are discovering an exciting alternative in the Zoned Comfort Solution™ from Mitsubishi Electric. Offering a unique approach to home comfort, Mitsubishi Electric systems are appealing for many reasons, but not least because they excel in precisely those areas where forced-air tends to frustrate. 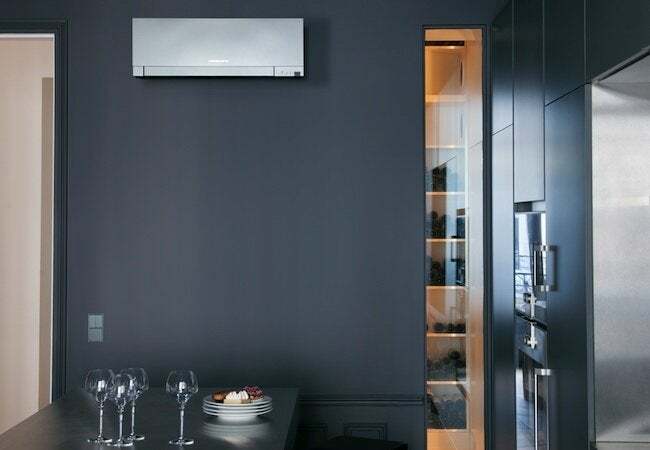 Compact, unobtrusive and even stylish, with customizable control and stand-out energy efficiency, the Zoned Comfort Solution may even change your mind once and for all when it comes to the role of, and possibilities for, cooling and heating in today’s home. Keep reading now to learn more! Taking up only a fraction of the space occupied by a traditional forced-air system, the compact and streamlined Zoned Comfort Solution installs easily compared to many other cooling and heating systems. In part, that’s because the Mitsubishi Electric system doesn’t have to involve any ductwork, although it’s flexible enough to do so. At its simplest, though, a Zoned Comfort Solution consists of nothing more than an outdoor condenser, an indoor unit and a remote control. In this case, since the main components are joined by a slim pair of refrigerant lines, installation rarely involves extensive, expensive remodeling. 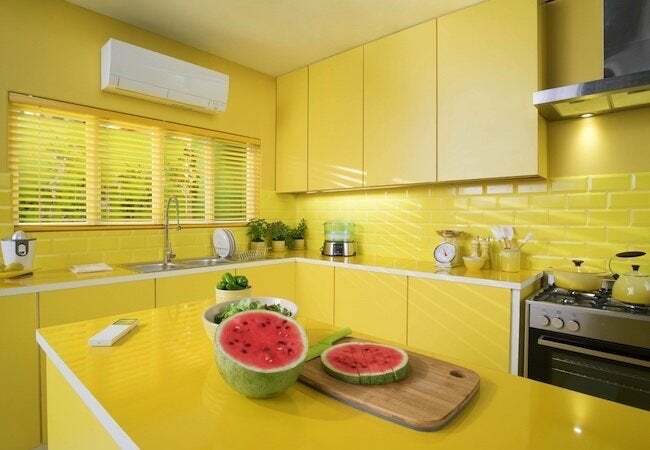 That said, the nature of the installation depends on a number of factors, including your choice of indoor unit. There are a handful of different designs, each with its own set of requirements. Wall-mounted units are, true to their name, simply mounted on the wall. Other indoor units, meanwhile, can be recessed into the ceiling, soffit or with a ducted unit, into a crawl space. Depending on the scope of your cooling and heating project, technicians may be able to complete the installation within a single day. 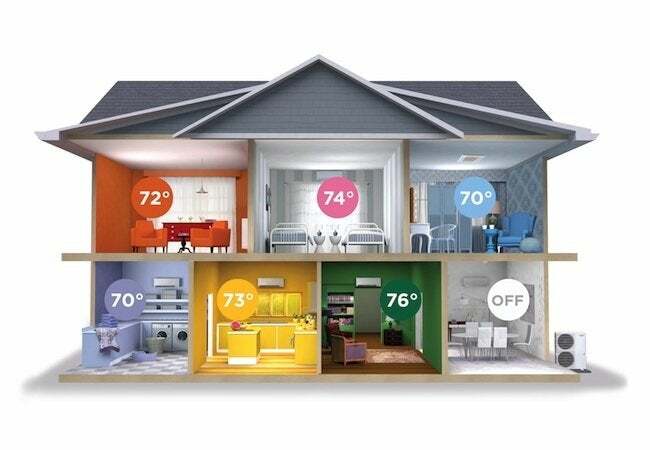 With a traditional forced-air system, one thermostat usually defines the temperature for the entire home. So if you want cooling or heating in one room, you must cool or heat every room—even unoccupied spaces. If the same principle were applied to other major systems, then turning on any faucet would activate all faucets, and flipping on any light would turn on all the lights. Besides being wasteful and unnecessarily expensive, the all-or-nothing operation of traditional air conditioning fails to acknowledge the reality that different people prefer different temperatures. 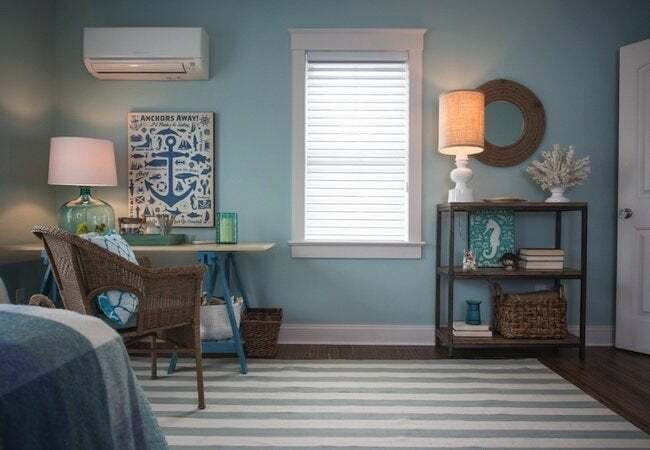 A Zoned Comfort Solution stands out, because unlike the cooling and heating technologies of yesterday, it provides a simple solution for families who often feud over the thermostat setting. The key: Mitsubishi Electric systems enable you to divide your home into a collection of zones. Whether a zone comprises one room or several, each can be controlled by its own thermostat, completely independently from the other zones. That way, every member of the household can be comfortable at the same time—finally. Additionally, being able to target climate control on a room-by-room basis also means that you never again need to pay to cool or heat an unoccupied space. It’s a win-win for your comfort and your bottom line. 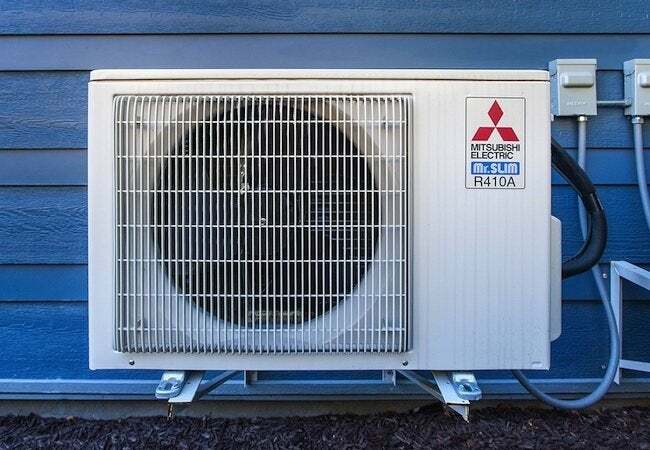 Systems from Mitsubishi Electric use dramatically less energy than conventional forced air—often enough to save you up 40 percent on cooling and heating from one month to the next. First, the Zoned Comfort Solution simply requires less electricity. Traditional air-conditioning systems operate in a stop-and-start pattern that devours electricity and drives up bills. The Zoned Comfort Solution, by contrast, shrinks bills by operating continuously instead of cyclically (with its state-of-the art variable-speed compressor modulating its output to match the space requirements, while eliminating the wasteful stop-and-start pattern). Another factor: The Mitsubishi Electric system avoids the inefficiencies that ductwork often creates in forced air. Ducts are notorious for leaking. 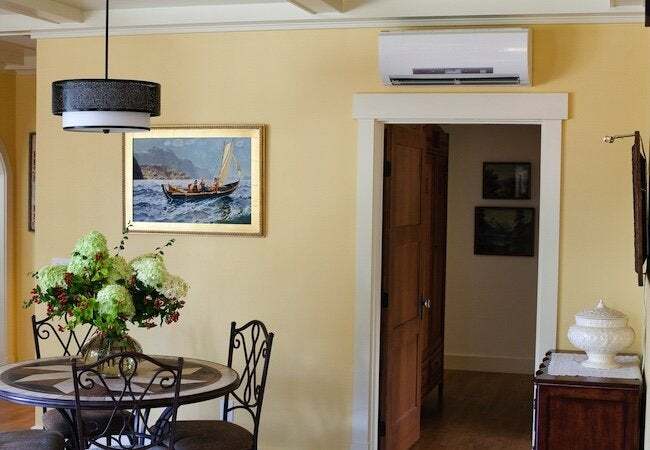 Even if the leakage only occurs at the points where two ducts connect, it can be enough to compromise overall system efficiency, leaving the homeowner to pay extra to compensate for the wasted energy. The Zoned Comfort Solution avoids the same fate, because in many cases, systems are configured to operate without any ductwork. In others, meanwhile, the system relies only on short runs that do not suffer the vulnerabilities that can compromise the performance of full-size ducts. Indeed, it’s a common complaint that cooling and heating costs an arm and a leg, but with a high-efficiency Zoned Comfort Solution, it doesn’t have to. Try to imagine a room in your house, or if you’re at home, look around you. Somewhere in the space—hulking in a corner or perhaps hiding on the ceiling—you’re likely to find a forced-air vent or a different but similarly visible component of the air-conditioning system. Point being: Whether we like it or not, cooling and heating systems are easily noticeable. Yet, to the exclusion of almost everything else, most major manufacturers have only focused on the functional aspects of indoor climate control. Mitsubishi Electric departs from tradition by emphasizing performance as well as aesthetics. With the release of its new Designer Series—a tantalizingly sleek and refined wall-mounted indoor unit—the company proves that it’s actually possible for climate control technology to be attractive. Available in a choice of three colors (white, silver, and black) and four capacity levels (9,000-, 12,000-, 15,000- and 18,000-BTU), the stylish Designer Series demands attention, but it doesn’t demand space. Remarkably slim, units protrude minimally, measuring no more than 10 inches deep. Much like a work of contemporary art, the Designer Series hugs the wall and acts as an accessory in any room. From there, it works to create an indoor environment with a feeling of comfort matched only by its visual appeal. In the past, climate control appliances were a source of cooling and heating, but more often than not, also a source of mystery and frustration. Homeowners grew accustomed to imperfect, hit-and-miss systems, because they simply were unfamiliar with the alternatives. Fortunately, innovation didn’t come to a standstill when traditional forced-air systems rose to prominence all those years ago. When you compare the traditional option to a new and efficient option, like the Zoned Comfort Solution, there’s really no other way to go. Traditional forced-air comes with real drawbacks—space-hogging bulk, inflexibility, sky-high running costs—which all signal nothing more than an outdated, outmoded system that no longer meets homeowner needs. Mitsubishi Electric provides a technology for the 21st century. Welcome to the future of cooling and heating. This article has been brought to you by Mitsubishi Electric. Its facts and opinions are those of BobVila.com.